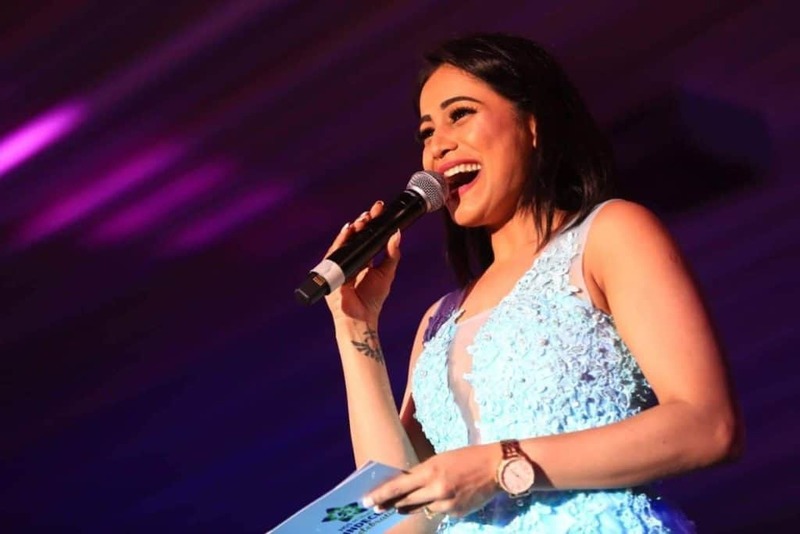 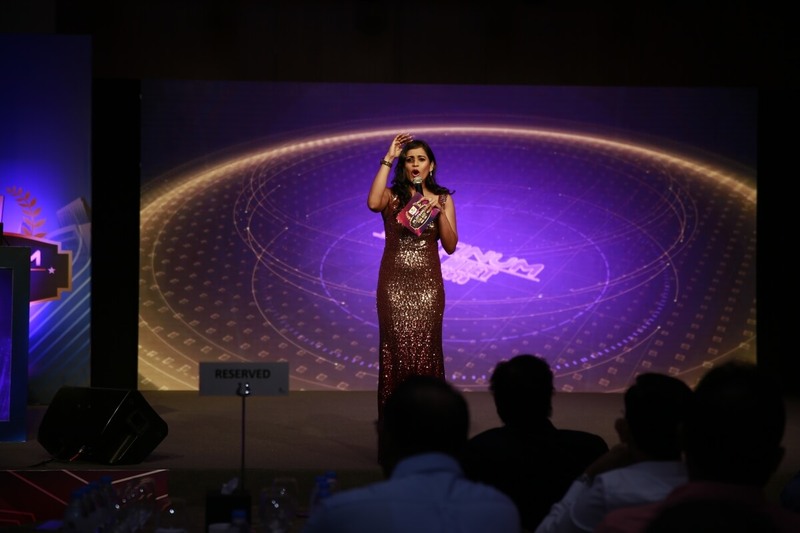 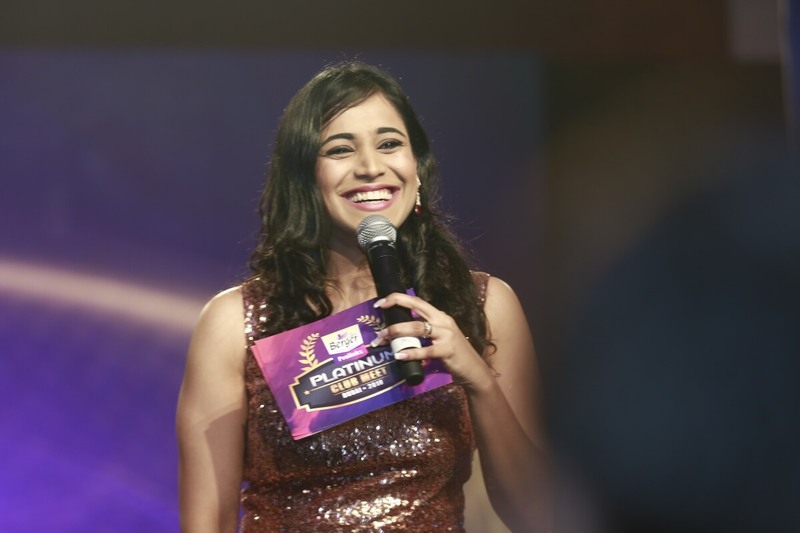 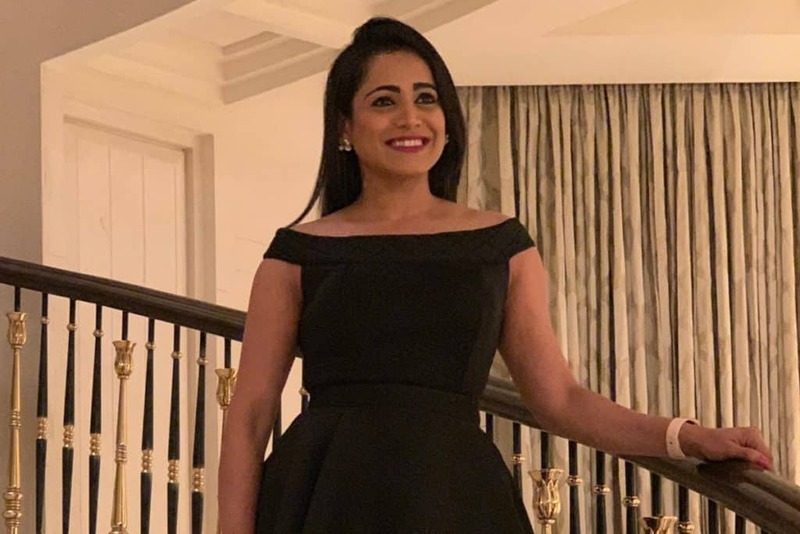 Anchor Reena Dsouza compere’d Berger Prolinks Platinum Meet 2018 in JW Marriott, Dubai. 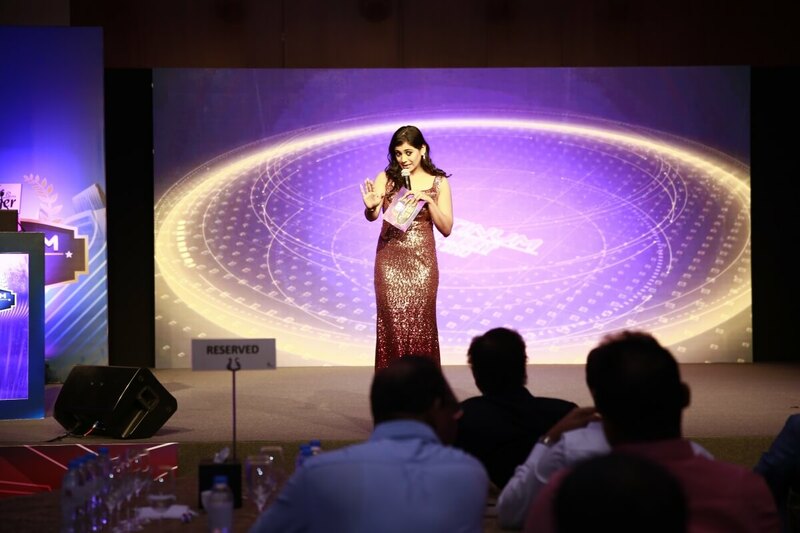 The event was attended by Berger Paints retailers, dealers and distributors. 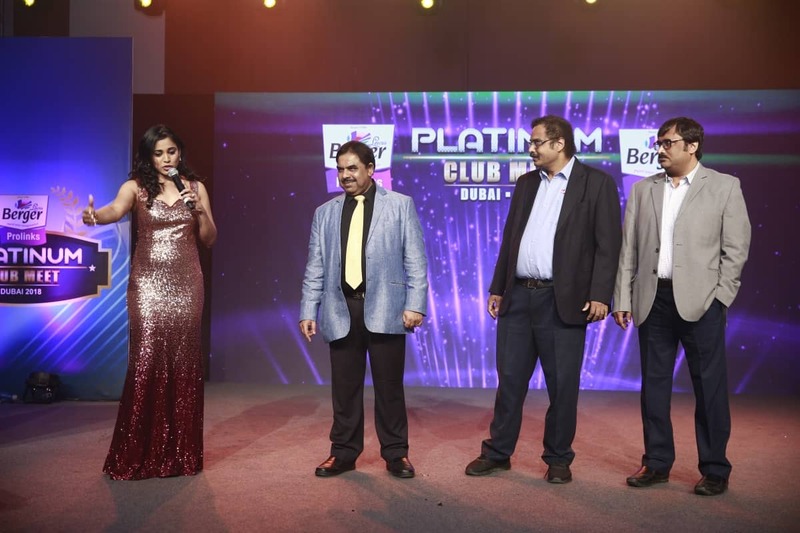 The senior leaders from Berger Paints graced the occasion. 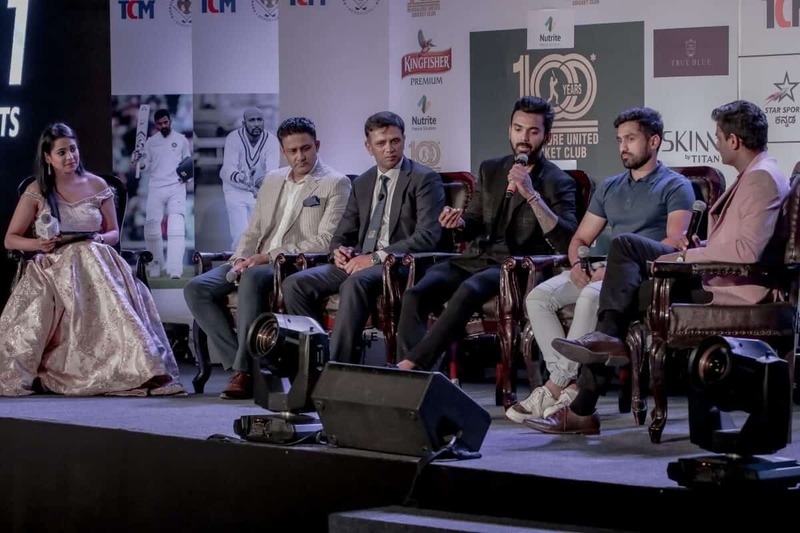 The event was organised to reward and recognize the achievers of 2017-18. 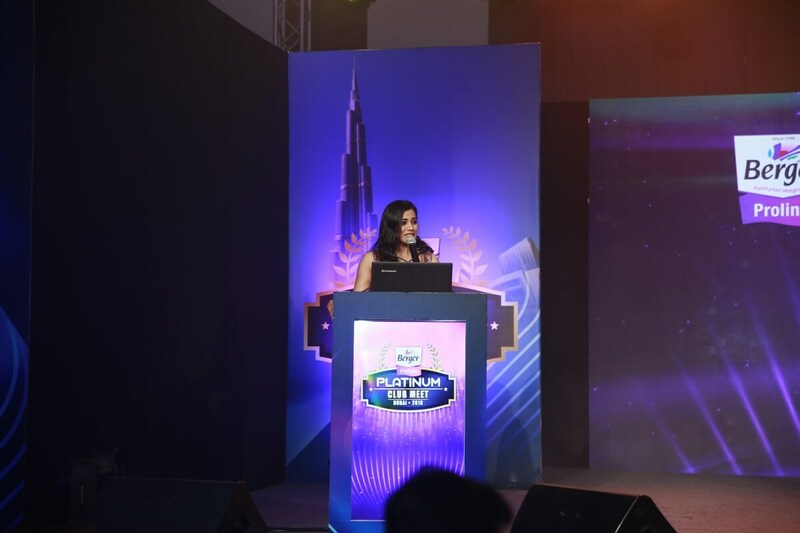 Besides awards night there were fantastic performances by Dubai’s renowned dance troup and playback singers from Bollywood, Kaushik and Madhurima. 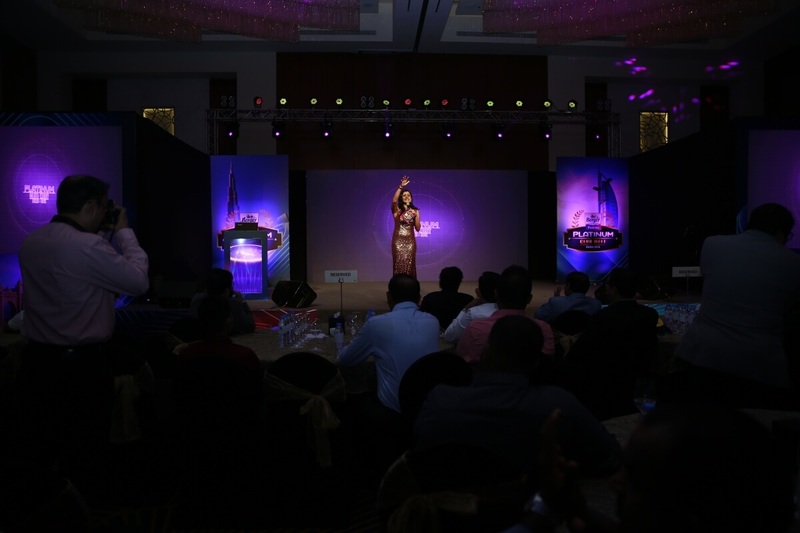 The event was conceptualized and executed by STRAIGHTLINE SOLUTIONS PRIVATE LIMITED.